He exudes love, kindness, grace and compassion without limit; exhibits moral authority; shares friendliness and invites an amazing response. The Dalai Lama envelopes us in his charming aura. For nearly 2 hours during his Public Talk on June 25th, with more than hour devoted to audience questions and exchange, at the Indiana Farmers Coliseum, part of the sprawling Indiana State Fair Grounds in Indianapolis, the Dalai Lama of Tibet kept his audience of 6,400 spellbound with his enlightened and all-embracing spirit; spiritually-engaging message and vision that to accomplish “Compassion as the Pillar of World Peace” all of us have a responsibility to end violence since man created it and a few in society among the 7 billion human beings indulge in mischief. The Dalai Lama emphasized: a terrorist is a terrorist - whether the terrorist is a Muslim, Buddhist, Christian, Hindu, or Jewish (Jew). 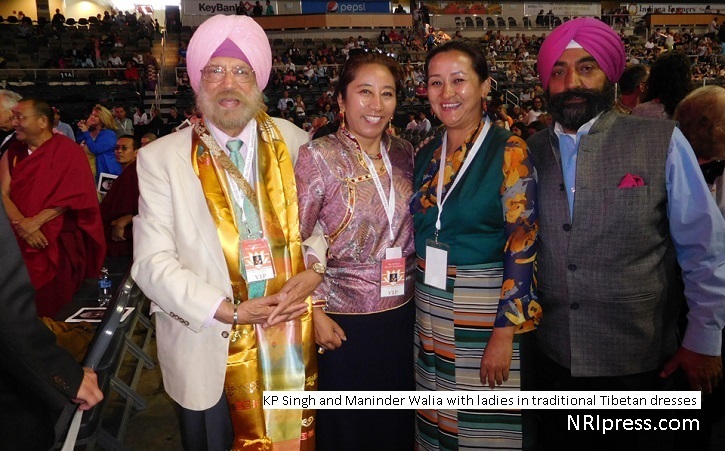 For the most part, these faiths get along under the secular Constitution of India. 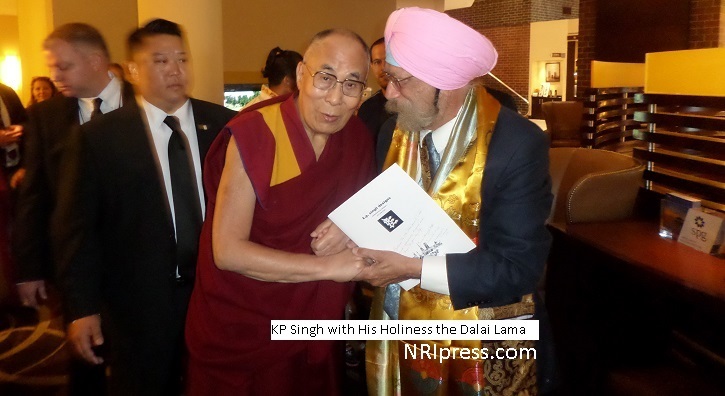 His Holiness the 14th Dalai Lama of Tibet has visited Indiana seven times since 1989. 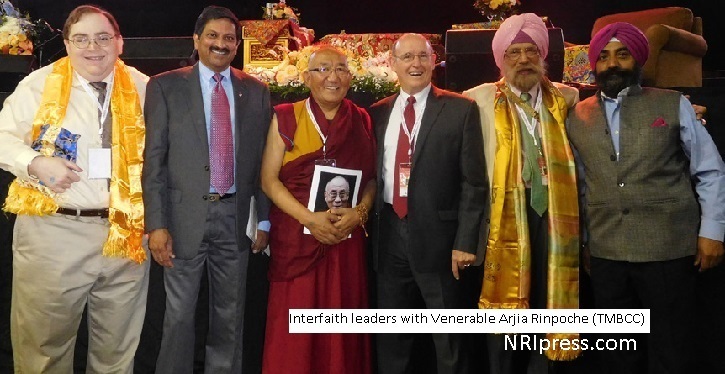 His late elder brother, Dr. Thubten Norbu, settled in Bloomington, Indiana in 1950's and taught at Indiana University for a number of years and founded the Tibetan Mongolian Buddhist Cultural Center. The Dalai Lama is regarded as the Buddha of Compassion to his Tibetan followers; a venerable spiritual, humanitarian interfaith leader, and a champion of non-violence, justice, and human dignity for all God's Children. The Dalai Lama understands and sees human struggle and devastating problems through the lens of peace, our intertwined humanity, and our shared destiny, and guided by a kinder spirit. He prays and advocates that we should make the 21st as a "Century of Compassion." 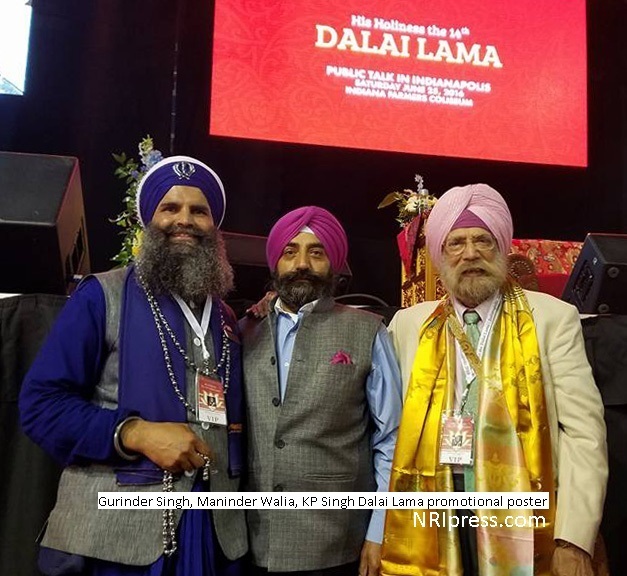 Towards that end, sponsors of the Dalai Lama’s visit have challenged Indiana Hoosiers to work towards 100,000 Acts of Compassion before the end of the year. Now imagine if the whole world got involved, we could achieve making the 21st as the “Century of Compassion” much sooner. This is no small challenge. Man has struggled from the beginning of Life to wrap his heart and spirit around this profound and challenging, yet liberating and emancipating wisdom. The Sikh and other sacred scriptures remind us, that it is with God's Grace and blessings of an Enlightened Teacher our transition to a kinder spirit is possible. The Dalai Lama is among the most venerable teachers and interfaith leaders of our times.